x265 aims to offer the best HEVC/H.265 encoder that helps users encode video/images into a HEVC bitstream. 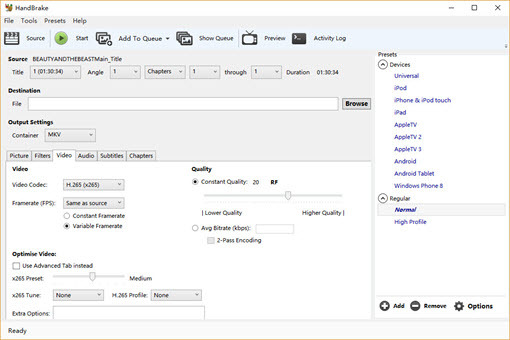 Many have considered Handbrake a better tool to encode small sized and high-quality HEVC files since HandBrake added the support for new H.265 encoder, together with VP8 and Intel QuickSync Video. Since most users are confused about HandBrake x265 profile, the article is in the purpose of illustrating the best HandBrake x265 settings in detail. But before that, please note that x265 1.4 encoder of HandBrake is not mature yet, so many H.265 features and advantages are missing. Q: I use handbrake for transcoding video, but it's no faster since I upgraded to my 980Ti. I assume this is a CPU-heavy process, but is there any software out there that will take more advantage of the GPU? A: Yes, WinX HD Video Converter Deluxe, the H.265/HEVC transcoder introduced below comes with premade well-configured HEVC/H.265 profile and level-3 hardware acceleration. It integrates fast video encoder, decoder with video processing for large video files (like 4K). Without the need of manual settings, you can convert videos to HEVC/H.265 within one click. In addition to encoding H.265 videos, it can also decode H.265 sources to any mainstream format or device with good balance between file size and quality. x265 Encoder & Decoder with GPU Acceleration? With ready-made HEVC profile and top-level hardware acceleration, it converts H.264, MPEG4, MOV, x265, 4K videos, etc with good balance between speed, size and quality. 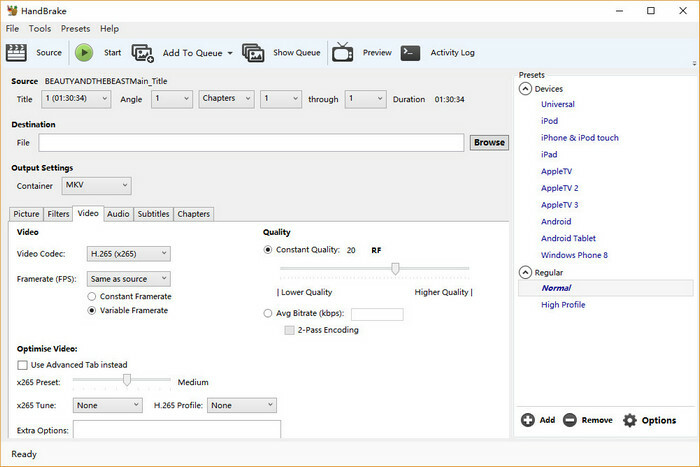 To make the best HandBrake x265 advanced settings for 4K UHD or full HD videos for example, you need to make sure that you've downloaded and installed HandBrake 1.2.0. Step 1: Launch HandBrake, Click on Source button, open a single file or a whole video folder you want to convert and wait until HandBrake completes the scanning. Step 2: Change Output Settings from Container MP4 to MKV, because it allows you to embed external subtitles and the MP4 container won't be played back in the H.265 build of VLC by libdeh265. Step 3: Click on Picture -> Anamorphic -> Strict. Step 4: Just leave everything Off, or adjust them according to your specific needs. 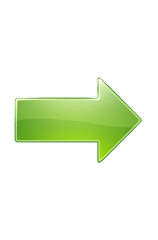 Optimise Video: Uncheck Use Advanced Tab instead -> set x265 Preset in Medium (basically, the higher the setting is, the greater quality the outcome will be, but it will lead to a longer encoding process and a larger output file). Quality: If you want to convert x264 to x265 with reduced file size, just keep constant quality at 20, 21 or 22. This will deliver great quality with acceptable size. Otherwise, 23 will be a great balance between quality and file size especially for 1080p videos. Step 6: In Audio section, HE-AAC (FDK) is used to be a good choice. However, HE-AAC audio encoder was removed in 0.10.5 due to a license issue.﻿ So, just change to AAC (avcodec) instead. As for the Bitrate, 96 or 265 can make a good outcome. Mixdown the audio track to 5.1 Channels. Step 7: Through Subtitles tab, you can add new track, add all remaining tracks, add all remaining closed captions, add all remaining selected languages, or import your own SRT file as the embedded external subtitles. Step 8: After all the HandBrake x265 settings, you are good to go by tapping Start Encode button on the top and the video conversion will work until you can get the x265 video. 1. The operation is too complicated and unfriendly for beginners. 3. Can only choose MP4 and MKV container formats for the output. 4. Only support a very limited range of devices, exclusive of iPhone X/8, Apple TV 4, Windows 10 Mobile, etc. There are much more HandBrake errors, so considering all that, this open-source transcode program is not the best solution for x265 video processing. 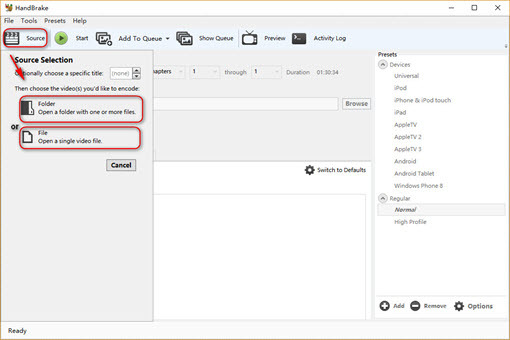 For this reason, you can click the Free Download button in below banner to try the best HandBrake alternative for H.265/HEVC encoding. x265 has a wider and wider compatibility with the inclusion of Windows 10, Apple and Android natively, you should keep up with the tide and find a desirable HandBrake x265 encoder alternative. 1. Fast speed: The hardware acceleration tech makes good use of multiple CPU cores, QSV and CUDA/NVENC to encode and decode videos. 2. Ease of use: the H.265/HEVC Encoder has a built-in HEVC Video profile under category PC General Video which is set to a good balance of quality and size with HEVC video codec and AAC audio codec. 3. Complete format support: Any videos, including multi-track HD videos, can be converted to H.265, H.264, MP4, AVI, WMV, MOV, MKV, FLV, etc; any videos can be make perfectly suitable for iPhone (X/8 included), iPad, Samsung, HTC, Apple TV, Android tablets, Windows devices, game consoles and much more. 4. Extra features: Support embedding subtitles, choosing forced subtitles (for non-English dialogues), downloading online (SD/HD/UHD) videos, editing videos, making slideshows and so on. WinX HD Video Converter Deluxe promises to give you the No.1 fast HD video conversion speed, the most user friendly design and the most comfortable after-sale service. 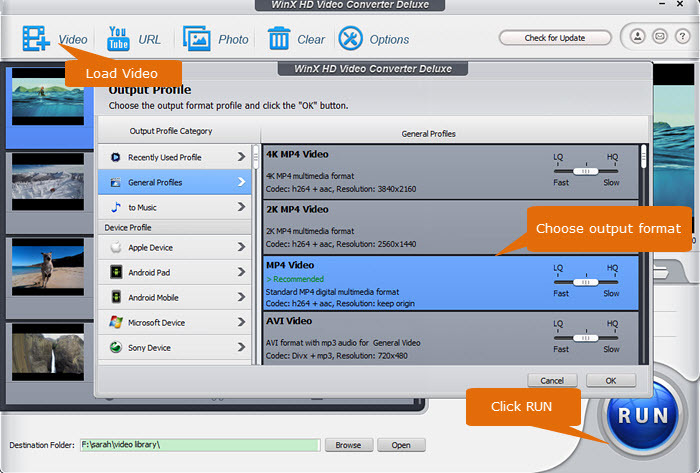 • How to Use WinX HD Video Converter Deluxe? 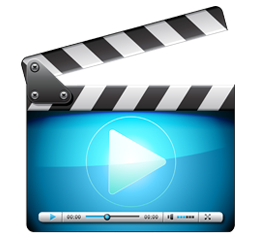 • How to Encode H.265/HEVC Videos on PC/Mac? • How to Download and Convert 4K/8K Videos?